My name is Clint, and I’m a crayfish addict. There. I said it. The scaly tails of the buggy, evil-looking mini-lobsters are the finger food of the gods. And the jackpot for this food is an unassuming reservoir at the foot of the Stansbury Mountains. 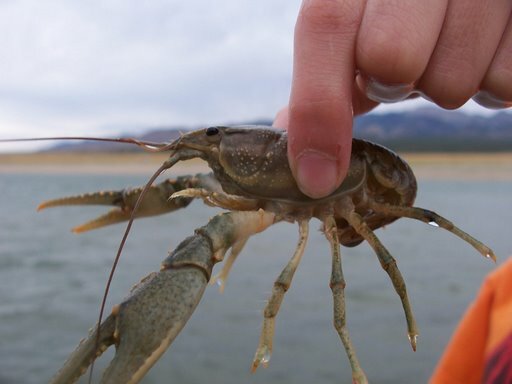 Crayfish, known also as crawfish, crawdads or mudbugs depending on the locale, are not a new phenomenon to me. I grew up accidentally catching them at Strawberry and Scofield reservoirs. For me, they were merely another obstacle to the already challenging task of landing rainbow trout, when I would reel in what I hoped to be a small fish, only to find one or two crawdads latched onto my line. But only after a recent trip to New Orleans did I realize that the irritating bait stealers of my past were actually an eagerly sought delicacy. The above is an excerpt. Click over to the Transcript Bulletin to read the full story.